Forging your destiny in steel at the tender age of eighteen would condemn most any spirit to lifelong antipathy. Not Ugo De Rosa, who by 1952 had already spent a full five years tinkering fruitfully in a relative’s workshop. For the likes of De Rosa and his rare breed, making bicycles extends beyond instinct into the preternatural. Every element of these masters’ lives reflexively orients around bicycle designs and materials, and a contemptuous refusal to obey their physical limitations. The De Rosa legacy was founded in pursuit of this purity, first by Ugo and then by Mariuccia, his wife. A generation later the family name is carried proudly by three sons — Danilo, Doriano and Cristiano — who continue refining what their father so splendidly refined himself. Characterizing the De Rosa name as having withstood the test of time would somewhat disservice the weighty contributions these five individuals have made. Their efforts have helped the De Rosa brand maintain its pioneer status in the art and science of bicycle building for over 50 years. The full truth of their accomplishments lives somewhere outside these ephemeral labels while remaining immediately recognizable by anyone fortunate enough to have ridden a De Rosa. Born in Milan during the winter of 1934, Ugo De Rosa attended a technical school where he pursued mechanical engineering studies as a teen. 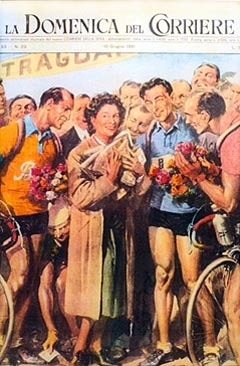 Inspired by the popular Sunday magazine “Domenica del Corriere” and its Walter Molino illustrated covers celebrating the legendary exploits of Gino Bartali and Fausto Coppi, De Rosa started working in his uncle Filippo Fasci’s workshop in 1947 at the tender age of thirteen. There he dreamed of building his own bicycle and riding it to victory. He also repaired and assembled bicycles while getting his first lessons in a structured work environment. And history has taught us they were valuable ones. All of Europe was alight with hope after the Second World War. The prospect for change was palpable and helped inspire a generation of doers, including the chief quaternity of classic lightweight Italian bicycle builders: Cino Cinelli, Ernesto Colnago, Alberto Masi and Ugo De Rosa. By 1958 De Rosa’s skills and notoriety had grown beyond the local Milan market’s confines. Racers in the professional peleton were hearing about bicycles built by an Italian “giovane straordinario” and had to know more. With reputation and livelihood mutually predicated on winning, the gravity between builder and racer is especially strong. France’s Raphaél “The Rocket” Gáminiani would be first to get pulled into the De Rosa orbit. After placing second at the Tour de France and winning its King of the Mountains jersey in one of twelve overall appearances at the event, Géminiani requested De Rosa build him a bicycle worthy of the upcoming Giro d’Italia. Seizing the opportunity, which presented itself at a Velodromo Vigorelli race — Masi’s home turf — De Rosa obliged by producing a bicycle that carried Géminiani to third place in the following Tour de France. Years earlier De Rosa himself enjoyed a stint at amateur racing that familiarized him with the cutthroat technological demands of competitive cycling. Like so many other masters, De Rosa partnered with champion racers who relied on their “costruttore” to provide every mechanical advantage available for crushing the competition. Unlike so many other masters, De Rosa was also a committed race day mechanic who regularly practiced the applied side of his trade. 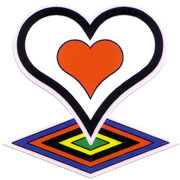 In addition to Géminiani, primary beneficiaries of this holistic outlook included such great racing cyclists as: Rik van Looy, Gastone Nencini, Gianni Motta and Eddy Merckx. 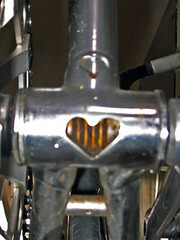 De Rosa’s lionly heart and kid gloves fit Eddy “The Cannibal” Merckx particularly well. Perhaps the fiercest competitor and most meticulous tactician ever in cycling, Merckx partnered with De Rosa in a divinely devastating integration of racer and builder. 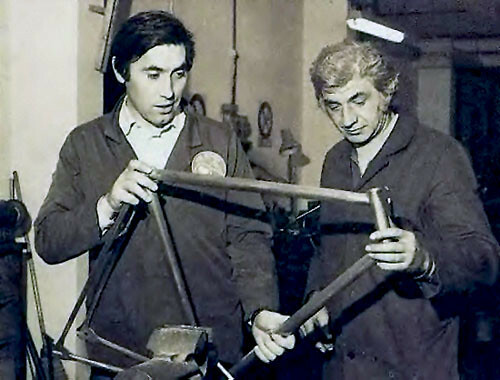 With origins dating to 1969, their partnership took full effect in 1973 when Merckx invited De Rosa to join his Team Molteni as official frame builder and mechanic. The subsequent history they shared would become the stuff of legends even before Merckx retired in 1978. Every significant palmares in professional cycling went represented in the races Merckx won aboard De Rosa bicycles: Tour de France, Giro d’Italia, Vuelta a España, Tour of Flanders, Tour de Suisse, Milano-Sanremo, Paris-Roubaix, Paris-Brussels, Liège Bastogne Liège and Gent-Wevelgem. The De Rosa-Merckx partnership endured well beyond Merckx’s competitive departure from the sport. De Rosa provided technical consultation to Merckx when the former champion built manufacturing facilities upon establishing his own namesake brand of bicycles in 1981. Eddy Merckx bicycles remain popular today for their historical association and reputation for outstanding craftsmanship, qualities De Rosa played at least some part in shaping. Perhaps De Rosa was overly successful instilling his “healthy realism” philosophy on Merckx, according to which “first you have to know how to make bicycles, and then know how to sell them.” With both figures remaining tall in the elite world of competitive bicycle manufacturing and marketing, Eddy Merckx bicycles stand somewhat taller among ProTour and WorldTour riders. Axel Merckx, son of Eddy, even had special permission from Davitamon-Lotto to ride his father’s bicycles through the 2005 racing season despite Ridley being the official team bicycle sponsor. Star power works in mysterious ways. So, too, does a half century of reliable greatness, which is why classic De Rosa bicycles are always courted by lines of eagerly awaiting suitors. Early models enjoy that magical combination of rich heritage and true scarcity, leading to a desirability factor shared only with the rarest Cinelli models, for example. 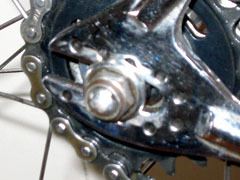 Collectors continue proving themselves willing to pay exorbitant amounts for older or noteworthy models, especially those with heart shaped lugs, bottom bracket cutouts or drilled dropouts. Along with impeccable workmanship, De Rosa bicycles are also revered for their wonderful ride characteristics. Racers have known for decades what collectors have more recently discovered: De Rosa bicycles offer highly compatible geometry and assuring balance in an exquisitely finished package. Their marriage of power, comfort and appearance truly is something special. If history truly is the best predictor of the future, the next fifty years should be exciting ones for De Rosa. Manufacturing composite frames and forks represents a relatively fresh direction for the man, family and company behind the De Rosa name. Many are hoping this renewed commitment also represents the renaissance of a brand once accustomed to enjoying the “primo posto” among Italian racing bicycle builders. Regardless of where things continue growing from here, we will always have the De Rosa dream bikes of yesteryear to cherish and ride on the most special of occasions. The rest is icing on the cake.